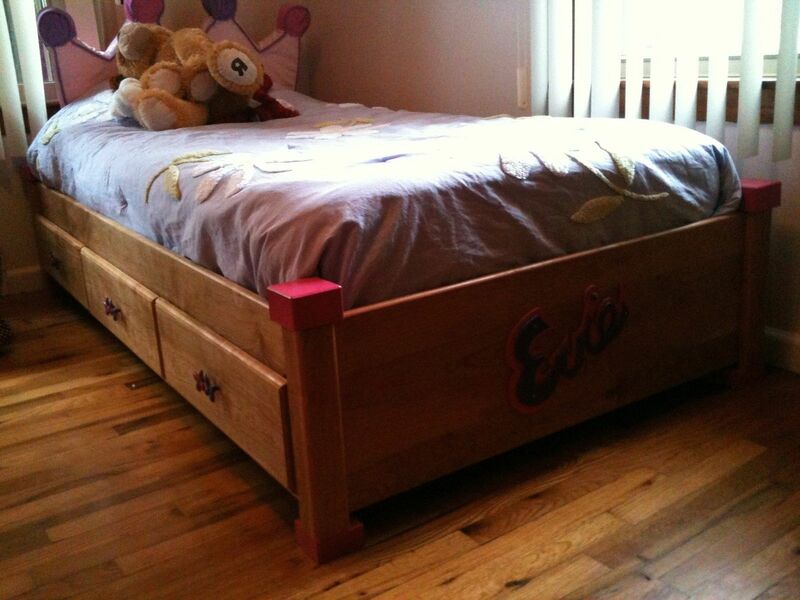 Taking the customer's requirements for size, design, and choice of wood, this child's Captain's Bed fits the bill! 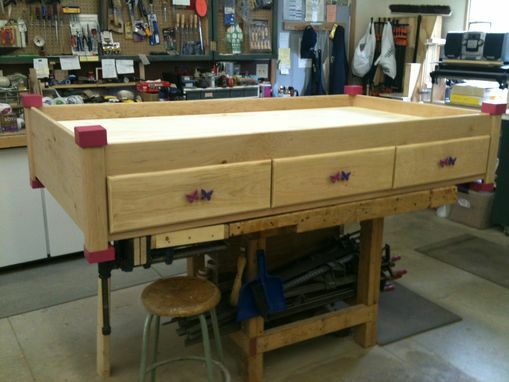 The bed shown accommodates a single size mattress, but can be designed and constructed to hold any size mattress. The child's Captain's bed is made from cherry, and has ample storage in the three (3) large drawers under the bed frame. 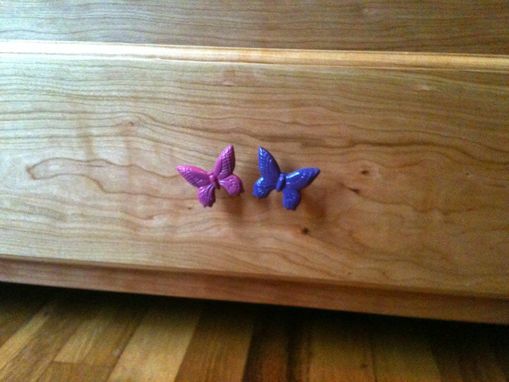 The pink & purple butterfly handles and leg tops/feet compliment the deep, rich color of the cherry. 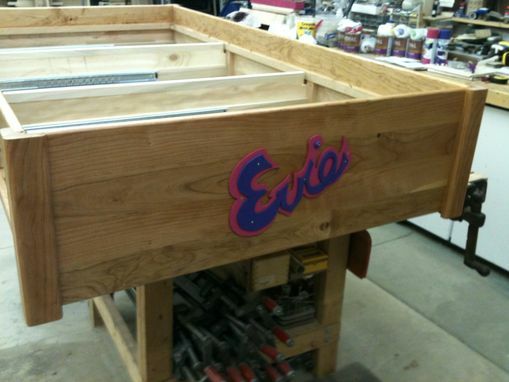 To top it off and delight any youngster, the child's name is emblazoned on the end panel of the bed. Dimensions: Approximately 42" x 18" x 76"